Many people are surprised to learn there are about 16 teaspoons (64g) of sugar in a 600ml bottle of regular soft drink! Sugary drinks, including soft drinks, sports/energy drinks and fruit drinks, are associated with tooth decay and erosion, obesity and diabetes. Rethink Sugary Drink is a national social marketing campaign which aims to reduce consumption of sugar-sweetened beverages by increasing awareness about the sugar content of these drinks and highlighting the effects on health. It encourages Australians to choose water or reduced fat milk instead. A partnership between the Cancer Council, Diabetes Australia and the Heart Foundation has driven this campaign. Dental Health Services Victoria is proud to be an official supporter of Rethink Sugary Drink along with the Australian Dental Association Inc., Kidney Health Australia, Nutrition Australia, Obesity Policy Coalition, Stroke Foundation and VACCHO. Take the H30 challenge – switch sugary drinks for water for 30 days. Dental Health Services Victoria is supporting VicHealth’s H30 Challenge campaign. The campaign asks people to make a simple 30-day pledge to replace sugary drinks with water. The aim is to help establish healthier habits, with water becoming the main choice of beverage in the long-term. Most Australians (63%) are now overweight or obese. Overweight and obesity are major risk factors for cardiovascular disease, Type 2 diabetes, some musculoskeletal conditions and certain cancers. 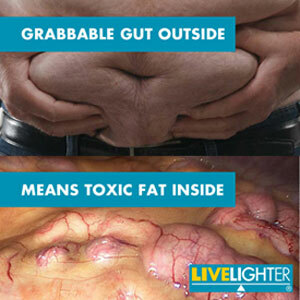 As excess weight increases, so too does the chance of developing these conditions. The LiveLighter campaign encourages Victorians to lead healthier lifestyles by changing what they eat and drink, and being more active. lead to tooth decay. Healthier alternatives such as fluoridated tap water* and reduced-fat milk will help reduce the risk of tooth decay other chronic diseases. encourage people to make and maintain positive lifestyle changes. *Most of Victoria’s tap water contains fluoride which helps prevent tooth decay.